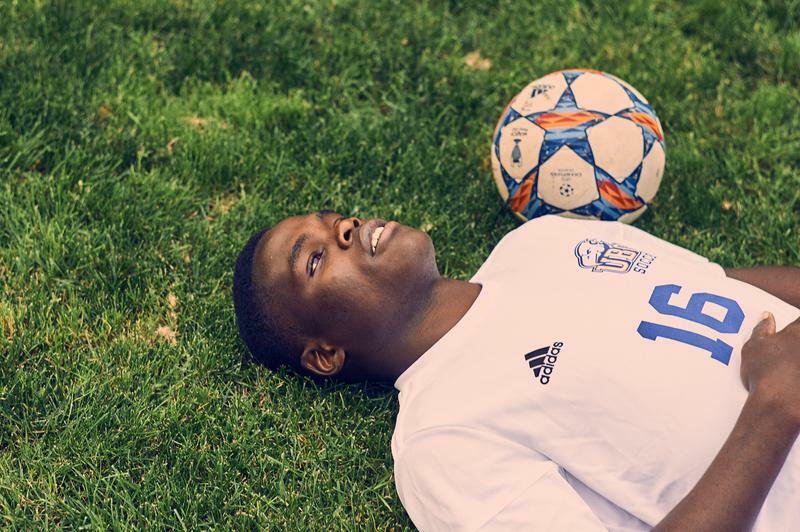 Being the Thunderbirds’ leading scorer is no small feat, but Victory Shumbusho — a soccer prodigy with seven goals in ten games so far this year — makes it look easy. The rookie only started getting interested in the sport when he moved to Uganda as a young boy. According to Shumbusho, “football” is not just a common activity in Uganda. “It’s the main sport. That’s the only sport they play,” said Shumbusho. Shumbusho’s success in the sport can be largely attributed to his rigid work ethic and determination. 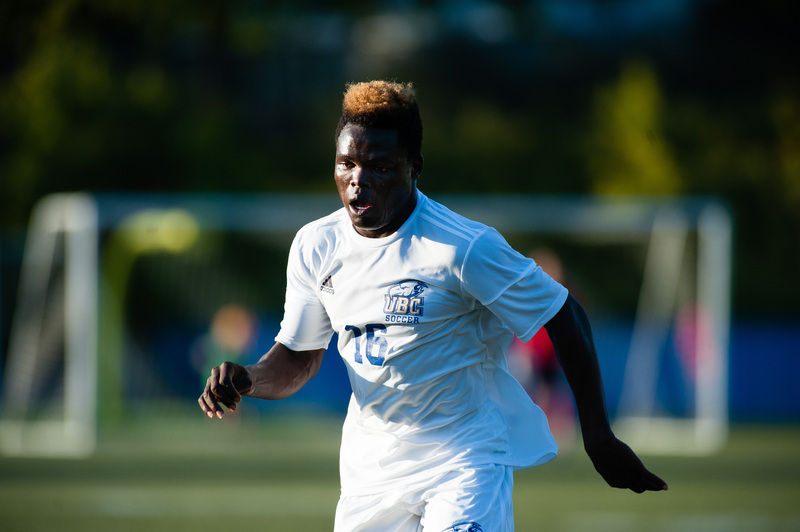 As explained by Whitecaps FC, Shumbusho joined their residency program in August 2016 after turning heads with Chilliwack Attack. Shumbusho was born in the Democratic Republic of the Congo but later, because of the civil war taking place there, his family moved to Uganda as refugees. While in Uganda, his parents applied for relocation through the International Organization for Migration (IOM) — an organization that handles relocation and migration worldwide. Four years ago, the Shumbusho family were granted their application — they were selected by a church in Chilliwack, BC, relocating them over 14,000 kilometres away. For Shumbusho, faith has always been an important aspect of his life. Shumbusho has plenty of advice for up-and-coming athletes. His first is for them to always remember where they came from. For him, a player’s origins form part of who they are as an individual. They also need to put in the hard work. Lastly, athletes need to enjoy what they are doing. “For me, all my troubles I had in Africa, whenever I went on the field, I kind of focused and just played and had fun. And all the problems would come back later — but every time I went on the field, the love I had for the sport and all the passion, I just put it there,” Shumbusho said. 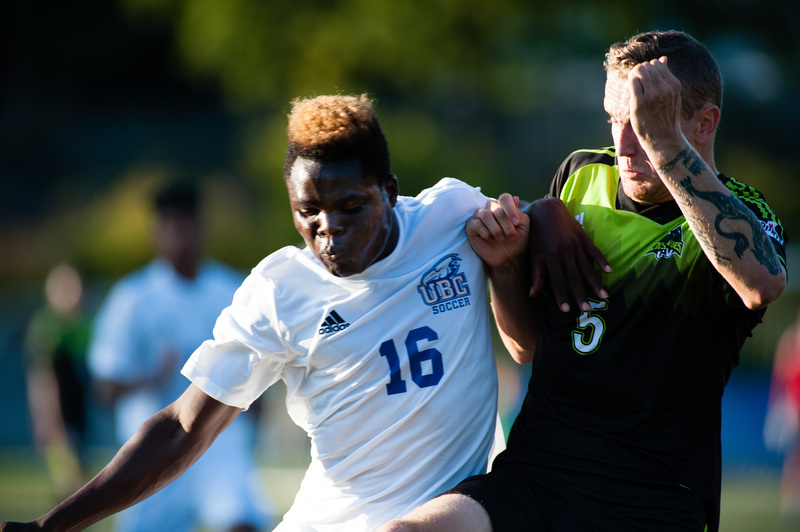 This passion shines through on the field when he plays for UBC. In the first six games of their season, Shumbusho scored in all but two of them. Shumbusho has his sights set on professional soccer as a future career. 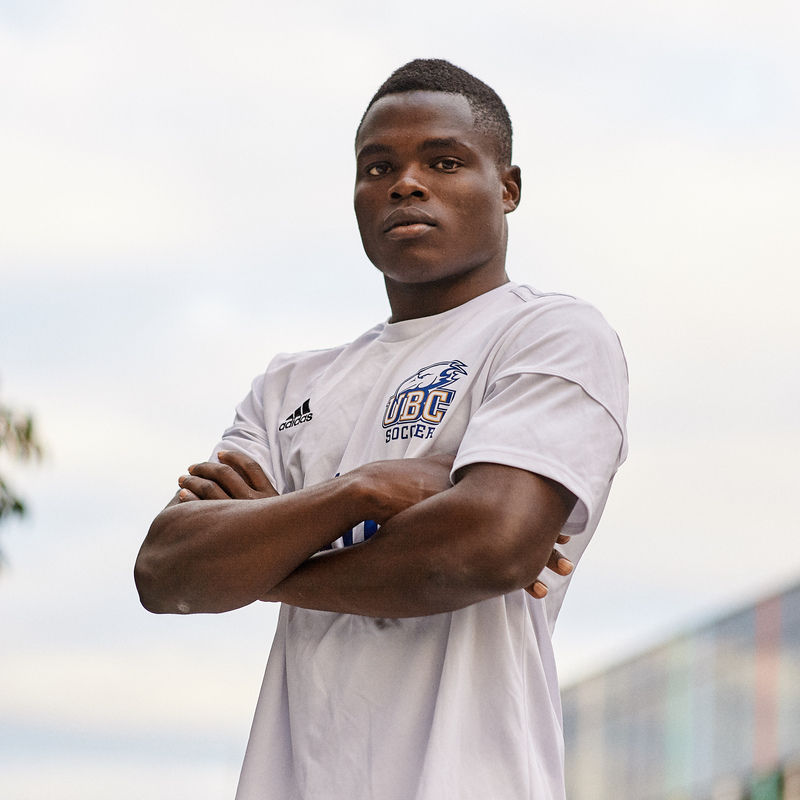 Beyond UBC, the Whitecaps residency program prospect intends to continue training and playing soccer for the Whitecaps. For now, Shumbusho continues to train and perform for the T-Birds, a program he considers to be one of the best in Canada. He hopes that the training here sets him on the right track to be a professional soccer player. Thousands of miles away from where he first found his passion for the sport, Shumbusho has a world of opportunity at his feet — what he does with it now is up to him.